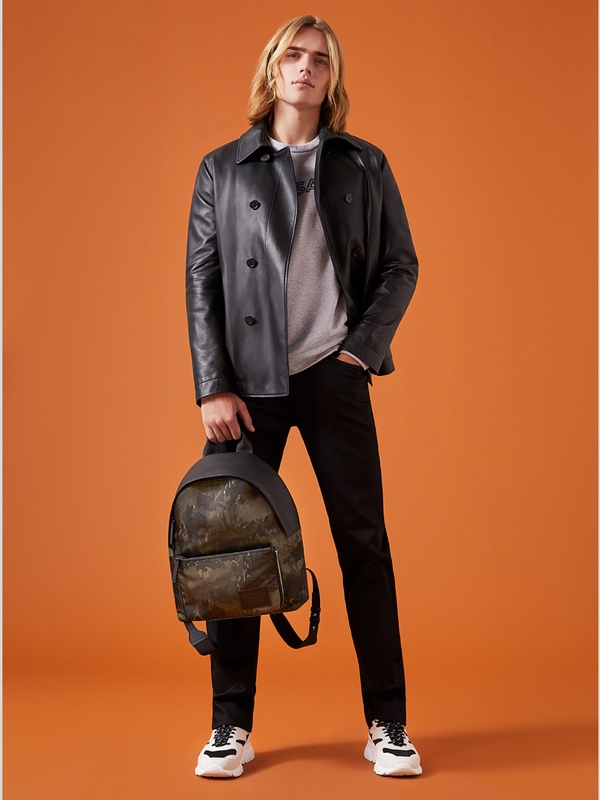 In the SS19 Collection, the Trussardi Men’s Clothing is the perfect combination of urban vitality and contemporary style. The high-tech sportswear accents merge with classic lines to create metropolitan elegance that is in continuous movement. Sweatshirts and T-shirts come decorated by lettering and prints featuring urban designs and the logo - the star of the season. 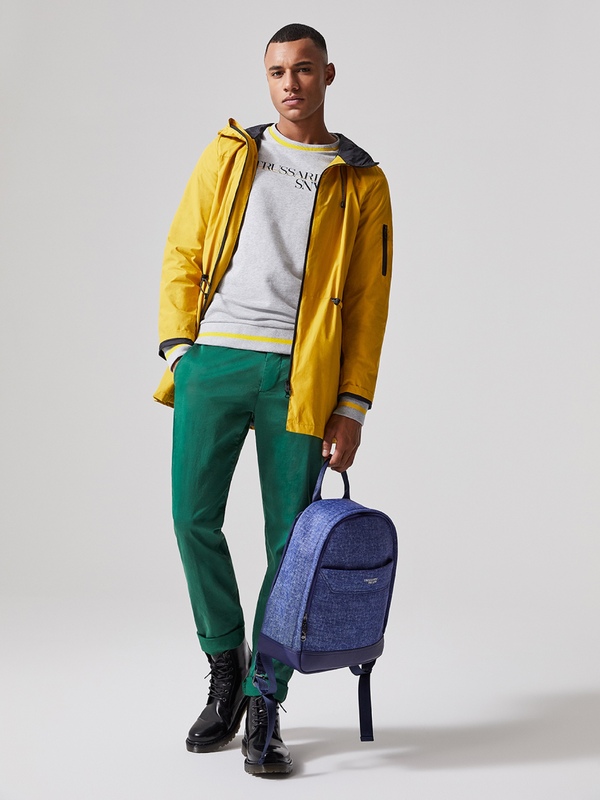 The line of Trussardi Jeans Men's Clothing still features the sportswear trend with international influences. The Sweatshirts, Outerwear and Jackets in the SS19 Collection focus on multi-coloured hues, branded and floral prints and pop-feel lettering. There is a versatile mix and match with faux leather and denim, the protagonists of this style journey.